Data center design is a tedious and expensive process. Typically, data center designers determine the hardware setup based on the software that will be deployed, and the expected workload characteristics. For example, in an environment where high availability is important, the data is replicated (e.g., three or five times), and storage is provisioned to accommodate the number of copies. This process leads to an iterative approach to data center design: the software configuration is determined first and then the hardware setup (or vice versa). However, such approaches may not always be optimal since they ignore important interactions between these two components . 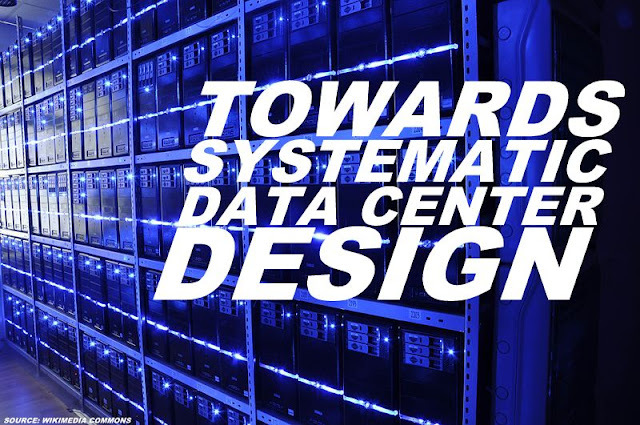 What we propose is an integrated approach that explores the hardware/software interdependencies during the data center design process. We believe that the most cost-effective, extensible and efficient way of performing integrated data center design is to use a “wind tunnel” to simulate the entire space of hardware/software co-design. The “wind tunnel” can be used to explore, experiment, and compare design choices, and to reason about the statistical guarantees that these design choices can provide. There are a lot of interesting research challenges involved in the process of designing, building and using the simulation-based “wind tunnel”. Designing languages to express queries in the data center design space, making the “wind tunnel” scalable in the number of design variables explored, validating the simulator, managing the simulation data and figuring out how to model the various software and hardware components are necessary steps towards systematic data center design. We believe that the process of building the simulation based “wind tunnel” shares similarities with building a specialized data processing system. The similarities are observed end-to-end, and they cover the language, the optimization and the runtime components. From a language perspective, the “wind tunnel” queries bear resemblance to traditional queries issued by database users. For example, a “wind tunnel” user may request the data center configurations that produce a data availability distribution “similar” to a desired one. From a query execution perspective, simulating multiple parts of a data center is likely to be time-consuming. It is possible that a large number of simulation runs may be needed in order to cover the whole con- figuration space defined in the user’s “wind tunnel” query. We may need to borrow techniques used to scale database queries (dynamic query optimization, parallelization) and apply them in the context of the “wind tunnel” execution. The crucial step of validation of the simulation would benefit from the use of publicly available datasets, and, to this end, we highly encourage researchers and practitioners to invest the time to produce datasets from real-world deployments. Finally, the data management community should work closely with the systems and architecture communities to accurately model the hardware and software components of interest. We believe that this systematic approach to data center design is an exciting new research area with significant implications for future cloud services and potentially fruitful collaboration between diverse research communities. Avrilia Floratou, Research Staff Member at the IBM Almaden Research Center, working on Big Data processing and more specifically on the integration of Hadoop systems and data warehouses. Her research interests also include cost-effective cloud data management and data center design. She received her PhD degree in computer science in 2013 from University of Wisconsin-Madison, working on high-performance cloud data management under the supervision of Prof. Jignesh M. Patel. She got her BS degree in Computer Science in 2008 from University of Athens in Greece. A. Floratou, F. Bertsch, J. M. Patel, and G. Laskaris. Towards Building Wind Tunnels for Data Center Design. PVLDB, 7(9):781–784, 2014. B. Mozafari, C. Curino, and S. Madden. DBSeer: Resource and Performance Prediction for Building a Next Generation Database Cloud. In CIDR, 2013. V. R. Narasayya, S. Das, M. Syamala, B. Chandramouli, and S. Chaudhuri. SQLVM: Performance Isolation in Multi-Tenant Relational Database-as-a-Service. In CIDR, 2013. This article is published under a Creative Commons Attribution License (http://creativecommons.org/licenses/by/3.0/), which permits distribution and reproduction in any medium as well allowing derivative works, provided that you attribute the original work to the author(s) and CIDR 2015.